There are not many actors who make every role seem as tailored exactly for them as Ann Wedgeworth who was an actress popular for the sitcoms Evening Shade and Three’s Company. In a career that ran from 1958 to 2006, she appeared in theatre productions, films, and TV shows, with a number of awards to show for all her efforts. Yet she was underrated. It was as Elizabeth Ann Wedgeworth that the versatile American actress was born on January 21, 1934, in Abilene, Texas. Her father, Cortus Wedgeworth worked as a school teacher while her mother whose name was also the same as that of her daughter, Elizabeth Wedgeworth died only two years after the birth of the actress. Described as a very smart individual, she went to Highland Park High School and after she graduated, she moved to the University of Texas from where she graduated in 1957. When she was through with her education, Wedgeworth left Texas for New York where she hoped to have a career in showbiz. She took the name Ann Wedgeworth after dropping “Elizabeth.” Even though she grew into an excellent actress across platforms, Ann Wedgeworth was plagued by shyness for a very long time even into her acting years. She was brought up a strict Baptist. Before too long, after intense auditions, she was admitted to The Actors Studio. In 1958, she got to appear in the play Make a Million which became her first Broadway production. With a number of other Broadway and off-Broadway shows to her name such as Blues for Mister Charlie, Period of Adjustment, and Thieves, she also appeared in the play Chapter Two for which she won the Tony Award in 1978. Her performance in the play was said to be one of the best one could ever see. Also, with her performance in the Sam Shepard’s 1985 play, A Lie of the Mind which was performed in 1986, Ann took home a Drama Desk Award. 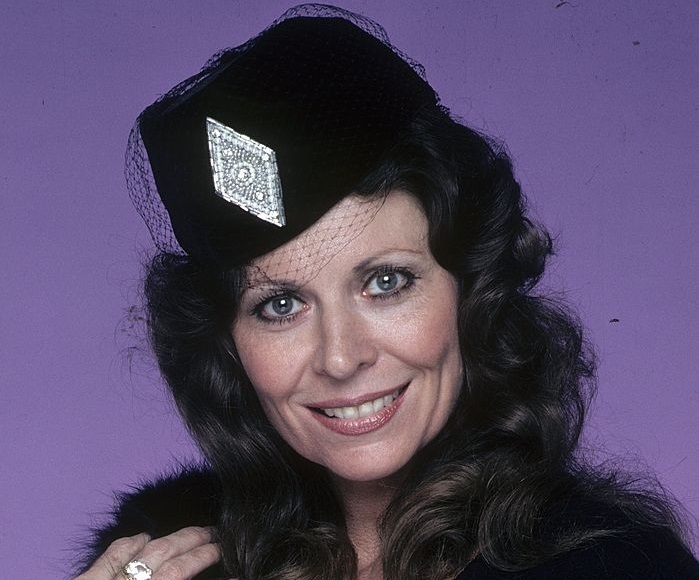 Ann Wedgeworth’s career on TV began with the “Vengeance” episode in Kraft Theatre in 1957 and she continued handling other minor roles until 1979 when she got to appear as Lana Sheilds in Three’s Company which became one of her most popular works. Her next major TV role was in CBS sitcom, Filthy Rich in 1982. From 1990 to 1994, she appeared in Evening Shade. Her portrayal of Merleen Eldridge in the television sitcom earned her a Viewers for Quality Television Award nomination. Her first film role came in 1965 when she appeared as Margie in the Richard C. Sarafian directed film, Andy. In 1973 she was in Scarecrow and then Bang the Drum Slowly. With some more films to her name, she also appeared in the TV film The War Between the Tates in 1977, the same year that she played Dallas Angel in Handle with Care, a performance that won her a National Society of Film Critics Award. The next time she came close to winning another National Society of Film Critics Award was in 1985 with her portrayal of Hilda Hensley in Sweet Dreams (1985). Some of her other films include The Men’s Club (1986), A Tiger’s Tale (1987), Hard Promises (1991), Love and a .45 (1994), and The Hunter’s Moon (1999). See Also: Lucy Punch Biography, Movies, and TV Shows, Why Did She Leave Vexed? Ann Wedgeworth has been married twice. The first was to voice actor and comedian Rip Torn in 1956. The union produced a daughter Danae Torn who was born in the same year. Danae, just like her parents, is also an actress. She is popular for Writer’s Block (1991) and The Bronx Zoo (1988). The marriage came to an end in 1961, making the ’60s a very difficult period for Ann because, at the time, she still believed they were still crazy about each other. Because of that, the period was not very productive for her as an actress. Although Rip got married only two years later; it was until 1970 that Wedgeworth got married again, this time to a director and acting teacher, Ernest Martin. The two remained together until her death almost five decades later. The marriage produced only a child, Dianna Martin who is also an actress and a teacher. On November 16, 2017, the Three’s Company actress died at the age of 83 in North Bergen, New Jersey. Her death came following a long illness she suffered. Before she died, Ann was in a nursing home where she bowed out peacefully surrounded by her family.